It’s nearly pointless to do a review of yet another Torquil McKinnon mystery by Keith Moray. Torquil, as you may recall, is police inspector on the fictional Hebridean island of West Uist. He is a motorcycle enthusiast and a bagpiper, and the nephew of the local priest. He is supported by some likeable constables, and the local newspaper man (off and on). 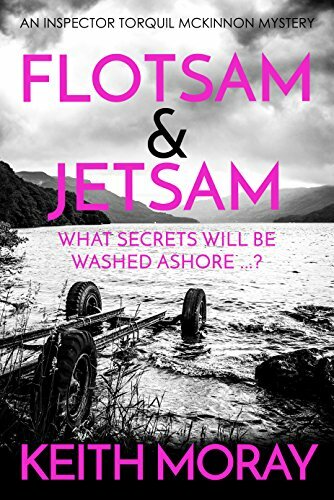 Flotsam & Jetsam is a rather complicated story, involving the drowning of a young woman, the murder of a famous entomologist, abused cats and dogs, professional sports gambling, a popular television show along the lines of “Antiques Roadshow,” drug smuggling, burglaries, and several other themes. Also a couple members of the cast of characters fall in love above their leagues, and enjoy success – because these are essentially happy stories. Oh yes – Torquil acquires a pet. You can’t get more cozy than that. Good fun; nothing much to caution you about. Recommended for light reading.